Several blocks to the north, a residential neighborhood developed. 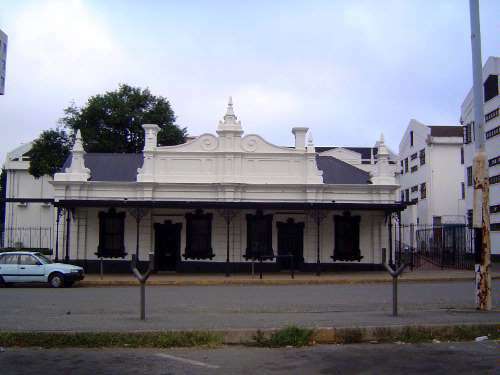 Here, in that neighborhood, is the Cecil House, built in 1901 and immediately bought by De Beers, who leased it in 1903 to the British South Africa Company. Later it was the headquarters of the BSA police. Then it became a rooming house. In 1975 it was refurbished and taken over by the Mining Industry's Pension Fund. When the Fund left, the building became vacant.